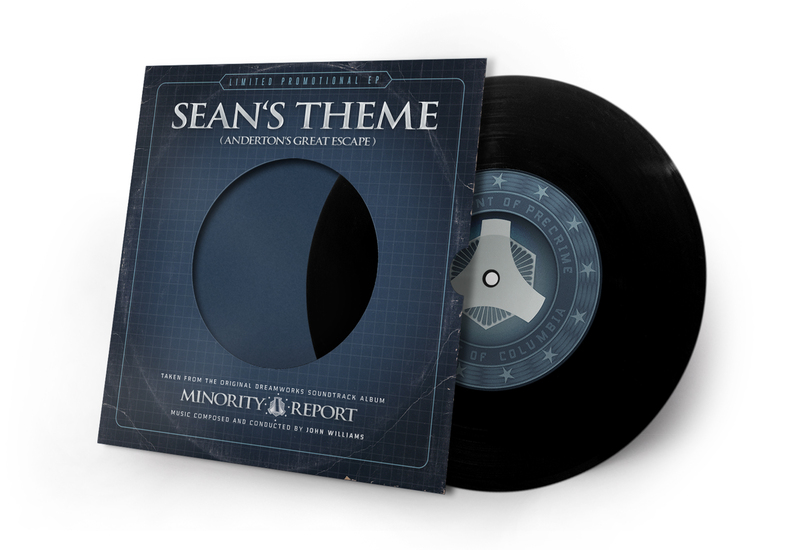 Minority Report ranks up pretty high on my personal Steven Spielberg hitlist. In fact it’s still my favourite film of his from this century. Imho it’s one of those rare cases in which a stellar script and an even better screen adaptation result in the pinnacle of blockbuster movie-making. Be it the bleak and high contrasted visuals, an authentic and well thought out world, or the exciting but reasonable action setpieces (a Spielberg trademark!). 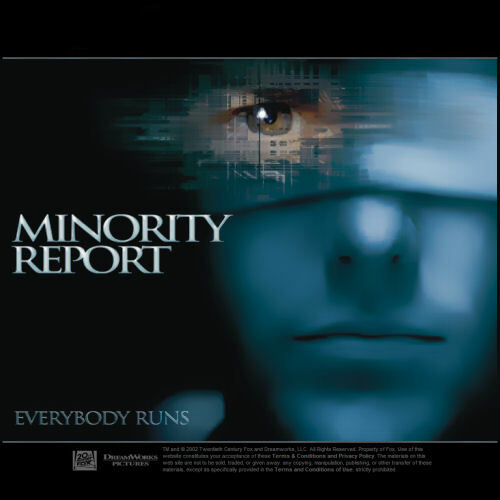 Minority Report has it all. The level of perfection and craftsmanship is astounding. And I kinda missed that side of Spielberg in the last decade. John Williams’ restrained and brooding soundscape on the other hand wasn’t love at first sight. It took me quite a lot of conscious and unconscious spins until I could fully appreciate this score. But once the ice was broken, I was rewarded with one of the most demanding, but also rewarding John Williams soundtracks of late. After all it was his dark tinted music that put the much needed noir in Spielberg’s detective story, and thereby elevated it onto a whole other level. The original cover art (#1) features the traditional side view of Tom Cruise placed over a dark and futuristic mess of a background. So far so vapidly pretty. But my OCD mind can’t wrap its sorry head around the blue’ish ribbon on the lower left corner. I know it’s part of the full artwork, but why dear original designer did you have to extend it onto the front cover? It makes no bloody sense… like at all! Well, I could have fixed it in no time. But I somehow preferred to make a bunch of new artworks instead, in helluva lot of time. Cover #2 for example took me about almost ten years. Well, not quite, because plain working hours would be considerably less, but I created the initial version of this cover back in May 2006, in a magnificent 500 pixels resolution. Back then I amateurishly goofed around in PaintShop Pro and accidentally applied a graphic filter that blurred out everything except one single element in the picture – in this case, the eye. I immediately loved it, because it transported the tone of the film so well. The eye as the only technological element in a dark, haunting, almost dreamlike picture of the main character. It was only now that I found a Photoshop filter that allowed me to recreate that specific effect. And now I love it even more (3100 pixels more, to be precise). The remaining covers don’t have a long-standing background story as that one, but I think they came out pretty nice as well. The Vinyl record sleeve with its clumsy font types (#4), or the 7-inch promo single given away at movie conventions (#5). The final design takes us on a retro trip back in time. The terrific image behind it has been created by French artist Romain Livio Bernardo and shows us what Minority Report would look like as a corny eighties science fictioner – probably with Arnold Schwarzenegger in the leading role. By the way, the hologram sticker in the upper right corner was made by hand resulting in a stack of nine superimposed Photoshop layers (I’m actually even a bit proud of it). Although I always hated those little, non removable suckers in real life, they indeed are a mental flashback to my childhood. And that’s what this custom cover is supposed to be after all.